You need to install HWmonitor, SpeedFan, or another similar utility. and the MB has 9 temp sensors that track temps. Of those, the SpeedFan seems most straightforward. Here's my ad-hoc installation log file for "SpeedFan". It does not seem to phone home (AFAIK). It has 6 tabs but I think the only tab that is useful is "Readings". In "Readings", you'll see the speeds in RPM and temperature in deg C.
Each of those are explained when you hit the "Configure" button. You can see the Speedfan chart here, of CPU core temperatures. a video card to as high a temperature as this test case would. 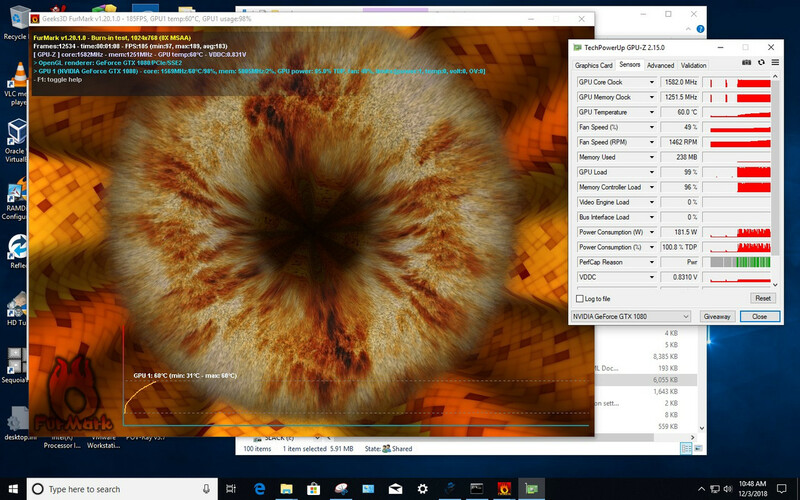 some cores will appear to run "sub-ambient" while idle. reading the sensors, voltages, and fan speeds. motherboards and/or cpus implement temperature sensors in the standard way. Seeing as we are talking about temps. various purposes mostly arching data. could be a motor problem. see if you can determine where the heat originates. there would be sound effects to go with it. Maybe a "squeak"
high drive temperature only accelerates the failure mechanism. The controller board has a three-phase motor controller chip. limit, and some stunted waveform will be fed to the coils. hot enough while doing this, it should shut off. an undamaged one), to understand how that is happening. to have some sort of power limiter for device safety. could shut off, as a hint how high it's getting. if the machine receives a "bump", the component "floating"
such circuits have little in the way of protection features. with a thermal camera, on some Athlon motherboard. Thank you everyone. I'm trying "Core Temp 1.13"
appears to be normal, or at least closer to what I'd expect.